Life in higher education can be lots of fun, but it can also be overwhelming. If you are experiencing anxiety or feeling depressed, don’t worry - it’s perfectly natural but don’t try to deal with it alone. Things have just been a lot more stressful. Thankfully I’ve done alright because I’m so determined, but it’s just been a lot more stressful and tiring than it should have been. Counselling service: almost every university has a counselling service. You can speak to trained counsellors and everything you discuss will be kept confidential. 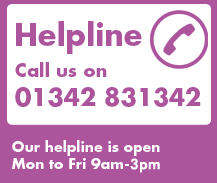 Helpline: many universities and colleges offer a helpline service for students. If you just feel like you want to talk to someone anonymously and in confidence, these can be a good source of support. They’re often open during the night, when people can sometimes feel overwhelmed by things away from the hustle and bustle during the day. Check your university or college’s website. Your doctor: we’d also recommend you get in touch with your doctor if things get hard. They may be able to offer some guidance or point you to someone that can help. Samaritans: http://www.samaritans.org/. Their 24 hour helpline is on 08457 90 90 90.